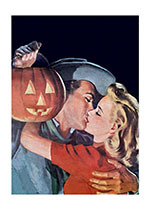 Maybe a Jack-O-Lantern can be used the same way mistletoe is used at Christmas. 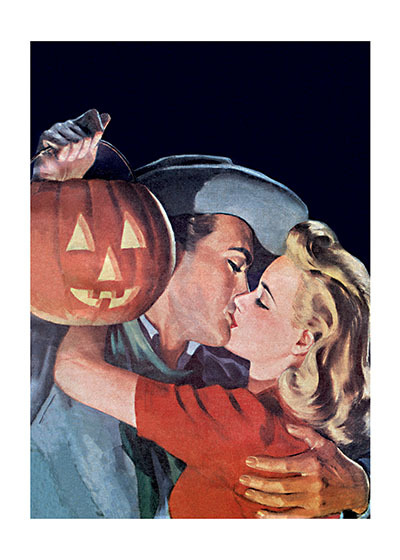 Maybe a Jack-O-Lantern can be used the same way mistletoe is used at Christmas. This couple seems to think so.